My wife and I live in a typical ’40s New Zealand house (which has minimal insulation in the ceiling, none in the walls and single-glazed windows), and like most Kiwis our normal winter behaviour is (at least some of the time) to simply put up with the cold. 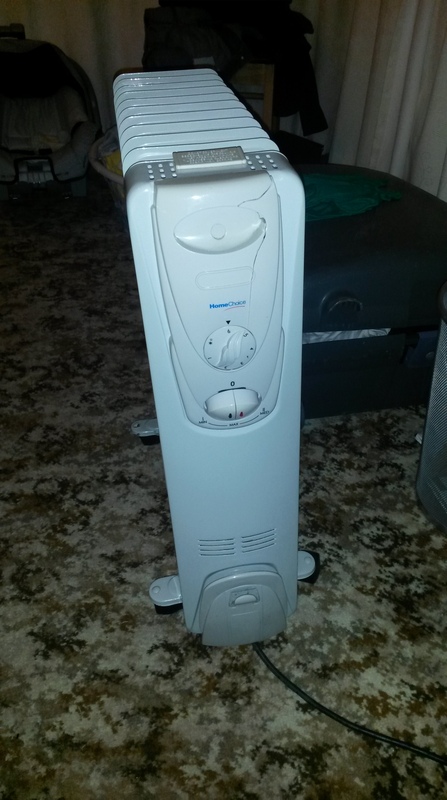 Upon having a baby, this had to change somewhat for a while, so we turned to the trusty electric oil fin heater to keep our bedroom warm. 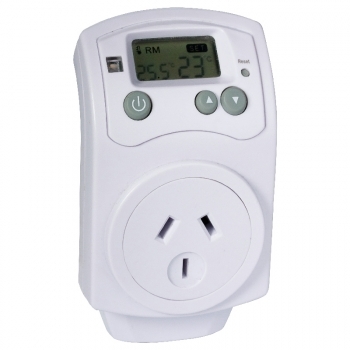 This has a basic mechanical thermostat, numbered 1 – 6 which corresponds not so much to the room temperature as the heater temperature. What this means is that the thermostat needs to be constantly adjusted as external factors change (such as the temperature outside). With practice one can get quite good at this, but for me it was an opportunity to make a new gadget. First, though, I went looking for a product that solves this problem – a plug-in thermostatic controller. I found something which in Australia and New Zealand is sold as the HeaterMate. This appeared to be exactly what the doctor ordered, but turned out to be quite unimpressive. The first problem is that the plug of an appliance drawing ten amps can easily have a bit of warmth to it, and relays have their losses as well. I think this is why, once it’s been in use for a while the temperature that the HeaterMate thinks the room is becomes up to 4 degrees too high! The second issue is that the HeaterMate’s approach to temperature control appears to be frustratingly naive. 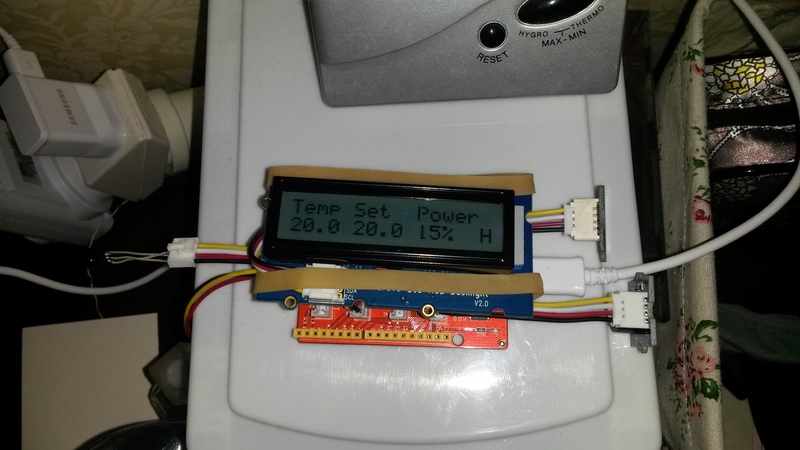 It turns the heater on until the room temperature reaches the setpoint, then turns it off again until the temperature is 1 degree below the setpoint. The heater itself stores a reasonable amount of energy, which compounds the problem by making it undershoot and overshoot this range. Furthermore, the location where a heater plugs into the wall is (a) usually not a convenient spot for temperature controls and (b) in some cases may be close to the heater itself (in the case of panel heaters). What I wanted was something that could find the right power level for the heater, and maintain that to provide a near-constant room temperature, and I thought that the PID algorithm (which is what makes your cruise control work) might be exactly what was needed. I also figured that it would help a lot to separate the temperature sensor from the part where the heater plugged in – more on that later. I had a go at explaining PID at this point in the post (because a really simple explanation would have been extremely useful for me), but it turned out to be far too long. I don’t want to bore anybody, so I’ll see if I can write that up later in case it’s interesting. 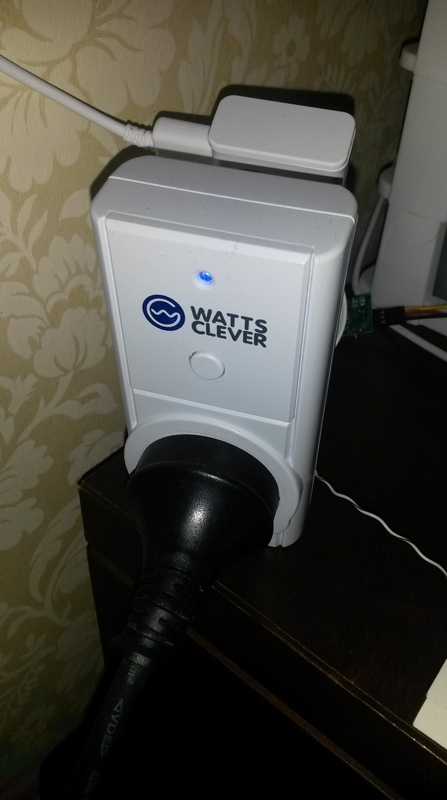 The Watts Clever remote control socket operates on 433MHz and can be easily controlled using the Arduino RCSwitch library. Because I’m lazy, I’ve used the Seeduino Lotus, which is an Arduino Uno clone with a bunch of Grove connectors on it. This allows me to easily plug in bought modules (the I2C LCD screen, the temperature sensor, the buzzer) and use the connectors (which each have GND, +5V and two I/O lines) to connect my own peripherals (the 433MHz transmitter and the IR receiver). Mainly because I didn’t have any buttons handy, I decided to use a spare remote control to control the thing, which gives me a luxurious set of “buttons” to control it with. All I’ve implemented so far is adjusting the temperature and the backlight brightness, but my intention would be to build a menu system where all aspects of the device can be adjusted. I have not done much experimentation with tuning, but I used a proportional value of 45% (meaning that a 1 degree error will increase the power by 45 percentage points) and an integral value of 0.05, meaning 0.05 percentage points per degree error per second, or 3 per minute. I did not use a differential component. Despite the lack of tuning, I have had excellent results. This approach keeps the room temperature with 0.1 degree of the setpoint most of the time, and adjusts well to changes in conditions. In the image above, the room temperature is exactly on setpoint, and the power level shown is the integral term which is doing its job of keeping it there. If something changes (like me opening a door or upping the setpoint), the proportional term helps to quickly react.